Saturday we went on a hike to the beautiful Beljanica mountain. 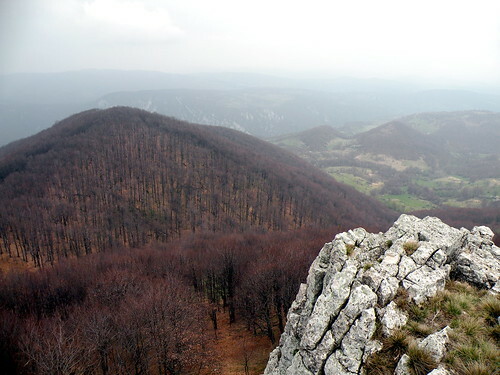 It is a 1,892 meter (6,200 feet) ridge located in the Resava region of Serbia. It is 152 kilometers (94 miles) south-east of Belgrade. A group of community members from the school made the 14 kilometer hike after touring the Resava Cava (Resavska Pećina). It was a fantastic day. I was proud of both Owen and Oliver as they made it to the summit and back. It was a long day as we left the cave around 11:00 AM and didn’t return to the car until after 8:00 PM. We finished up the night at a country restaurant that had delicious, Resava River trout and homemade bread. I couldn’t have asked for a better day. The boys were tough, especially as we strained our way through a steep stand of Beech trees. The slope felt almost vertical, but they made it fun, playing with sticks and leaves on the way up and back down. Beljanica means “Little Whitey” in English and it refers to the limestone (karst) ridges you see in the photo above. Karst topography is formed with the dissolution of limestone rock. 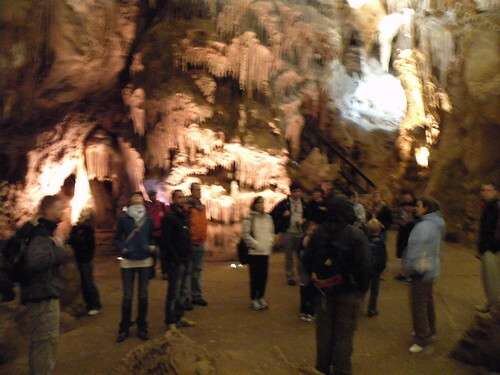 Many caves are formed in these areas and the large Resava cave is impressive. They have the cave well-lit for visitors and the kids loved it. We didn’t see much wildlife. Only a small snake, some tadpoles, and plenty of wildflowers. The initial part of the hike went along by the river and through small farms with peasant sheep herders. I want to explore the region more. There is a nice waterfalls and monastery that we didn’t have time to see. It would also be good to spend a bit more time up at the top and walk along the ridges, as there were several to be explored. It was cold at the top and, we headed back without much time at the top. The boys slept soundly on the ride home. Owen fills his water bottle from Martin in a well. I would like to thank our fearless trip leader, Liberozo Sapundžić and his son Luka. They are two great men and had much patience with the group. 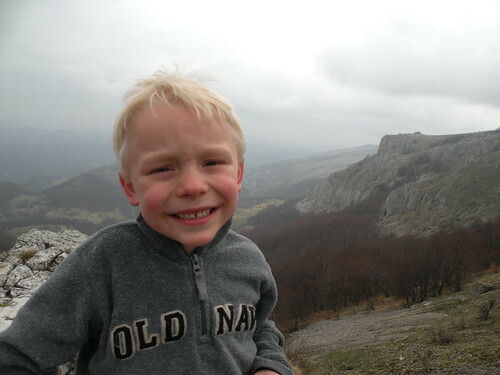 Thanks for sharing your love of nature and expertise with the Serbian wilderness! I would love to return the favor in my beloved Upper Peninsula of Michigan someday. ← Who wants a Frikam ice cream?